S.H.I.E.L.D. returns for new adventures, and the MCU Guidebooks follow every step of the way! Our comprehensive coverage of the fan-favorite Marvel Studios films and Marvel Television shows continues as we profile Director Phil Coulson's team! 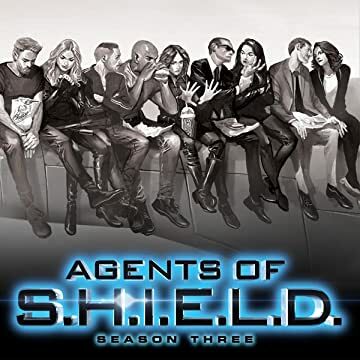 With fact sheets, show-to-comic comparisons and behind-the-scenes production art and stills, this fantastic guide is packed with profiles and updates on Director Coulson, Agent Daisy Johnson, Agent Melinda May, Agent Leo Fitz, Agent Jemma Simmons, Lance Hunter, Agent Bobbi Morse, Agent Alphonso Mackenzie, Lincoln Campbell, "Yo-Yo" Rodriguez, Grant Ward, Hive, Gideon Malick and Lash! And more! 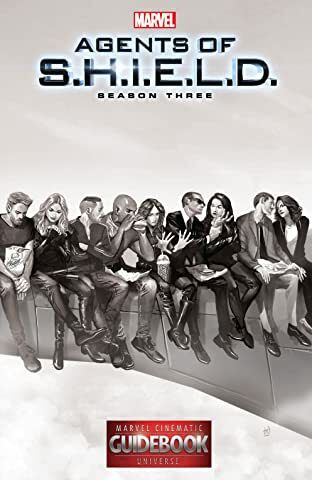 Relive the thrills of Marvel's Agents of S.H.I.E.L.D. Season 3 right here, and continue building your indispensable library of Cinematic Universe reference books!